Ballpark now named "Newcastle Field at Bricktown"
OKLAHOMA CITY - The Oklahoma City RedHawks and the Newcastle Casino, owned by the Chickasaw Nation, unveiled an expanded partnership at an event today, highlighted by the renaming of the Triple-A club's stadium as Newcastle Field at Bricktown. Oklahoma City RedHawks President and General Manager Michael Byrnes and Newcastle Casino executives unveiled the new stadium logo and a rendering while addressing attending guests and media. "We are thrilled to have an outstanding partner in the Chickasaw Nation and Newcastle Casino," RedHawks President and General Manager Michael Byrnes said. "The Chickasaw Nation understands the importance of a vibrant Bricktown entertainment district. By partnering with the team on the naming rights they contribute significantly to the long-term success of the RedHawks in Bricktown." The agreement includes exclusive naming rights to the facility, branding elements for Newcastle Casino, Chickasaw Country and the Chickasaw Nation, consumer promotions, hospitality at stadium events and opportunities to use the ballpark for Chickasaw Nation and Newcastle Casino programs. Chickasaw Nation Governor Bill Anoatubby said the partnership between the RedHawks and Newcastle Casino began nearly two years ago and quickly proved beneficial for both organizations. "The opportunity to expand our existing partnership with the RedHawks club was one we could not pass up," Anoatubby said. "It always is an honor for the Chickasaw Nation to partner with another organization that takes great pride in its relationship with the Oklahoma City community, its patrons and its staff. 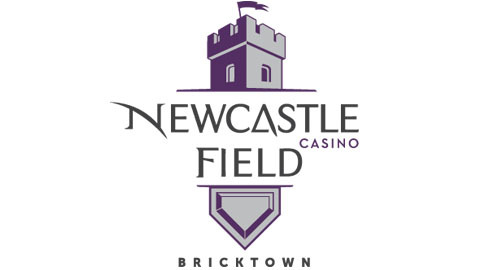 Newcastle Field at Bricktown will continue to be a place where baseball fans, both young and old, can enjoy a game and make memories that will not soon be forgotten." "Governor Anoatubby's focus always has been to grow and expand Newcastle Casino in a strategic manner that best highlights the Chickasaw Nation as well as the city of Newcastle and its surrounding communities," Chickasaw Nation Division of Commerce CEO Bill Lance said. "We felt this partnership with the Oklahoma City RedHawks - a respected, established baseball club in the metro area - was a natural fit and a great way to raise awareness of Newcastle Casino to a broader audience." The new name will go into effect immediately, with Opening Night for the 2012 RedHawks season scheduled at 7:05 p.m. tomorrow night. Signage at the ballpark will be manufactured and installed over the coming weeks. For additional information, contact J.P. Shadrick of RedHawks Media Relations at (405) 218-1000 or by email at jp.shadrick@okcredhawks.com. Logos and design mock ups can be found on http://tinyurl.com/NewcastleField.